A few months back when I begrudgingly made the move into maternity pants and began compiling a list of baby gear that we needed to acquire, the hunt began. For various reasons, we realized that buying another camera for our current video baby monitor was no longer an option, and I started the process of searching for a new one with the type of excited glee that you can only find when shopping online. My end goal was to find a monitor that would stream both audio and video to my phone and our computer, thus eliminating the need for a separate video handset which was constantly being lost or intentionally and maliciously hidden by a certain toddler. AHEM. I wanted, nay, needed something with night vision. Additionally, this marvelous piece of technology had to meet a final requirement, the price tag. In other words, we wouldn't be taking out a second mortgage on our house simply so we could watch our kids. Finding cameras that stream video to computers or phones wasn't a problem. In fact, there's literally hundreds of them available to buy and use as monitors, but after reading several hundred reviews (I jest not), I slowly realized that the vast majority of those cameras wouldn't work. The cheaper cameras were known for poor audio or video quality, some even spontaneously shutting-down mid-use, which isn't exactly conducive to good parenting 101, like hearing my child cry in the middle of the night. Unfortunately, the more expensive models weren't much better since most wouldn't stream audio with video. The travesty! Around the same time I was about ready to throw in the towel and resign myself to yet another clunky and traditional video monitor, I found Wifi Baby. Wifi Baby is a family-owned company that was begun by parents who wanted a convenient and high-tech monitoring system to safeguard their son. 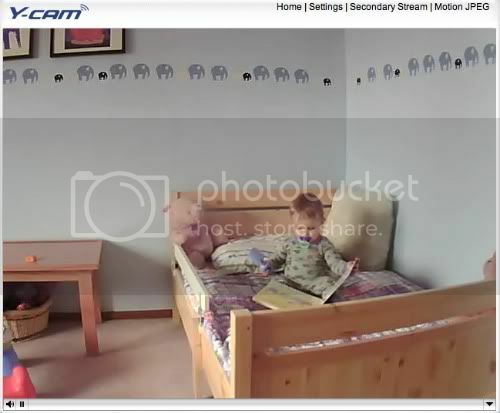 Using the Y-Cam cameras and working with Sunshine Apps, a new era of baby monitoring emerged which allows parents to watch their children from a computer, iPhone, or iPad, both at home and away. I contacted Wifi Baby with no fewer than a dozen questions to be sure that this was indeed the monitoring system I was hoping to find. And when all of my questions had been answered, I realized that this was the monitor I had been searching for, the holy grail of technology-friendly baby gear. And then I promptly lost all dignity and did the happy dance around my kitchen table. Devin, the customer service rep for Wifi Baby who dealt with all of my questions and emails (and clearly has the patience of a saint), sent out one of their monitors which I promptly tried setting up myself. If any of you remember the video camera fiasco several months back, you will immediately realize that this was a very bad idea, despite the foolproof and highly detailed instruction manual that came with the camera. Though I readily accept the label of the technologically inept spouse compared to the technological rockstar that I married, I made it through the entire setup process with only one minor mistake which my rockstar fixed once he got home from work. Following the setup process, we were amazed by the clarity of the video on the computer screen. For your viewing pleasure, I have included two photos below that were taken via the screen capture feature on my computer. While I cropped the photos to fit, they haven't been altered in any other way. And yes, my son quite enjoys escaping from his bed during nap time. Thanks for asking. Next up came the phone trial. I downloaded the Baby Monitor HD app (one of only two baby monitor apps on the entire Apple market that support both audio and video from wireless cameras) to my iPhone and completed a brief install. Please note, I completed the setup BY MYSELF, therefore anyone else on the planet could also do this simple process. Huzzah! For the next several weeks, Jonathan and I used the Baby Monitor HD app exclusively to keep an ear out for the little man during the night and when we were away from our computers. There were no more late-night search parties sent out looking for the elusive parental handset; instead, it was as simple as turning on my phone. And with clear audio and video streams, I was downright giddy with our new toy. Unlike the problems described in the reviews of other video monitoring systems, we didn't have a single issue with dropped video or audio while I remained in range of our home network. 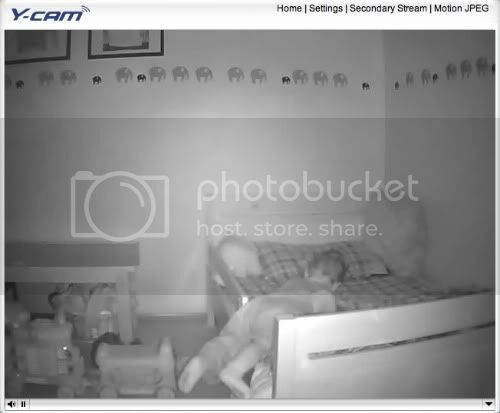 While the Wifi Baby system has been engineered with the capability of monitoring your children while you are home or away, Jonathan and I chose to set up our camera so it could only be seen via our home network due to the fact that the Y-Cam system, although password-protected, is not secured via SSL. For the non-networking geeks out there, we chose this option because we felt that it was more secure and safer for our family. So for the parents out there who are looking to invest in a system that will last for years to come and will provide high-quality, convenient monitoring, Wifi Baby is your company. The experience that we've had while working with them has been extremely customer-friendly and the product is everything I wanted to find in order to keep my kids safe and ensure that they aren't skipping out on nap time. Because, like every mother knows, nap time is golden. For readers of Adventures of the Stay at Home Mom, Wifi Baby has graciously offered a discount valid through 5/31 which will deduct $9 from the price of each camera! To redeem, use the Add to Cart option when purchasing from the Wifi Baby site and enter the code ADVENTURES. The Fine Print: I was not paid or compensated in any way to review the Wifi Baby 3G Monitor or the Wifi Baby HD app. In fact, I had to put down a (refundable) deposit in order to review this item on my blog, but that's how much I believe in this product and how badly I wanted to share it with all of you. As always, my opinions are completely my own and reflect my honest thoughts about Wifi Baby and their product. I will be sharing this info with my own computer geek husband! This is exactly what he was looking for when we had our son, who's 15m now. My guess is that he'll still want to get it! Glad to hear it Jackie! My computer geek thinks the system is pretty awesome, even when using it with our 16mo. old! That's a great question! Right now, their products are engineered specifically to work with Apple products, but in the promo video on the Wifi Baby site, they reference the MultiLive app on the Android market which support video on the Y-Cam system. The hubs uses the MultiLive app on his droid when he's watching the kiddo at home, but we haven't upgraded to the audio- supported version (there have been some issues as to whether or not it actually works so I can't speak specifically to that). That said, there are definitely Android and Blackberry apps specifically from Wifi Baby in the works, but they can't give out a release date just yet! 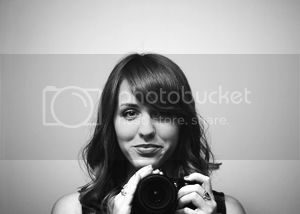 I work for Y-cam, the manufacture of the camera, and I hope that is appropriate for me to comment here, I was just hoping to pass on some information. Can I first say thank you Alyssa for this review and Valeria for your enthusiasm regarding the product. As Alyssa pointed out there is a Android WiFi baby app in the works, however in the meantime Y-cam do offer android and blackberry apps, which allows you to watch the cameras stream, which may be adequate whilst the WiFibaby apps are in production. Thanks for sharing Victoria! That's great to know! Also, just to clarify, I believe that the android and blackberry apps only currently support video, not both video and audio simultaneously. Just as an FYI to readers. Did I read your article correctly implying that you can not send a 'link' to a relative so they can share your video feed? If you have the camera set up for outside access (there are two ways to go through the setup process- one which allows access outside the home network and one which does not) then you CAN send a link to a relative to view the video stream. It is important to note, however, that you would also need to provide that relative with the user name and password so the video could be viewed. Hope that helps! What costs are associated with the web viewing site? And, are he costs per camera or per account? I don't have one (yet! ), but I think I can answer your question... The data are hosted on your own wifi network (you put in one of those long 192.168...numbers to get to it), so the costs are only whatever you pay for Internet access. There are detailed setup videos on YouTube that you can find on the wifibaby.net site. Ron, the previous comment is accurate. The cost for the camera and your Internet service will be the final total as there are no additional charges to view the camera feed. I am thinking about getting one of these with a baby on the way. How do you go about using it as a nighttime monitor? As in, if I want to know when the baby starts crying so I can get up, do I keep my phone on? Do I set up an alert? Just curious. Kourtney, we just leave my iPhone on as you would a baby monitor. The app for the iPhone is battery-intensive though (same as streaming Pandora for just the audio or YouTube for audio and video) so I do recommend leaving your phone, iPad, or other device plugged in to prevent the device notifications of low battery from interrupting the audio and video streaming. As a side note, you can also set up alerts if your child begins to stir or make noise- but we haven't had cause to use that option.